Play with Colors You Know They’ll Enjoy! 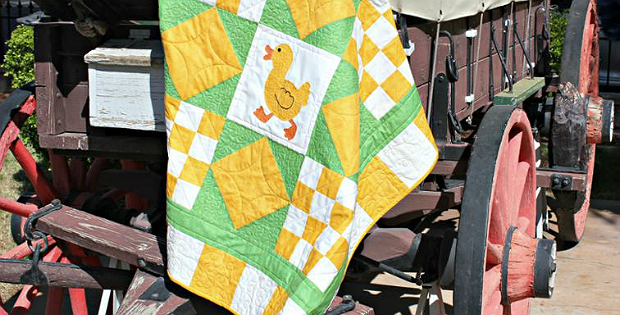 A cute little duck takes center stage in this darling baby quilt. Make it up in yellow, green and white as shown here, or choose colors you know the new parents will love. 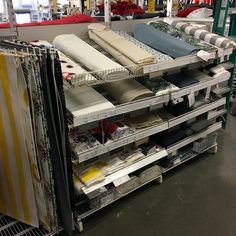 We can easily imagine the quilt in soft yellow, blue and white. 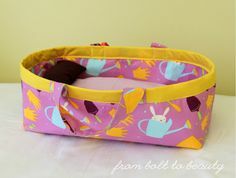 It’s also easy to imagine it done as a scrappy quilt with yellow accents. Or go in an entirely different direction. The duck doesn’t have to be yellow! 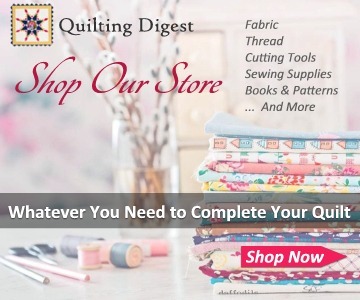 Easy piecing makes up the patchwork body of the quilt. Fusible applique does the rest. 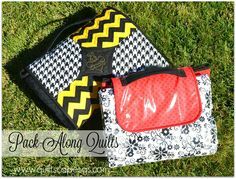 It’s an easy quilt to make and one you can complete fairly quickly. 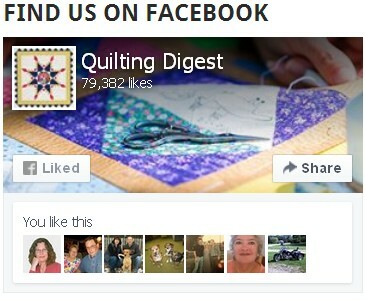 The finished quilt, designed by Just Let Me Quilt, is 45″ x 45″. 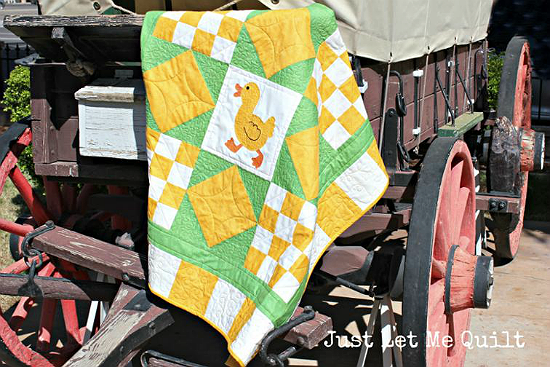 Click here to purchase the “Run, Duck, Run!” quilt pattern.